The Madras high court recently made singing 'Vande Mataram' compulsory in all government schools, colleges and universities in Tamil Nadu at least once a week. 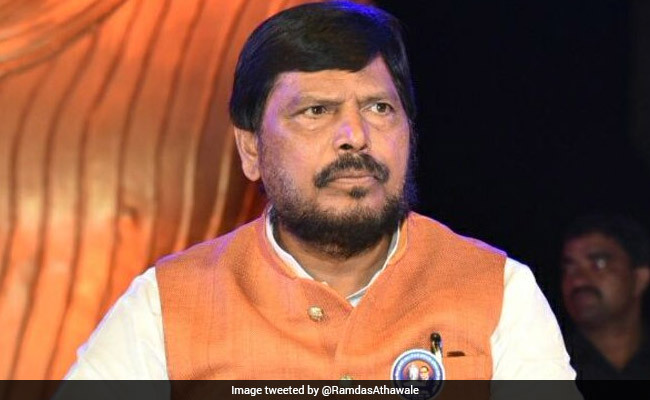 Mr Athawale, the leader of Republican Party of India (A), said that singing the national song should not be forced. He went on to say though it would be ideal if everyone recites it, there is nothing wrong if one decides not to. "Everybody should recite Vande Mataram, but if it is not recited what will go wrong?" he asked, while addressing the Maharashtra Gramin Patrakar Sangh's 11th anniversary at Kalyan near Thane yesterday. "If one does not recite Vande Mataram nothing is wrong in that," said the minister of state for social justice and empowerment. A BJP legislator in Maharashtra recently demanded the implementation of the ruling in schools and colleges of the state.